Our Sunderland Men's Vancouver Waterproof Golf Jacket features an ultra-soft laminate outer that provides supberb comfort and protection during your game. 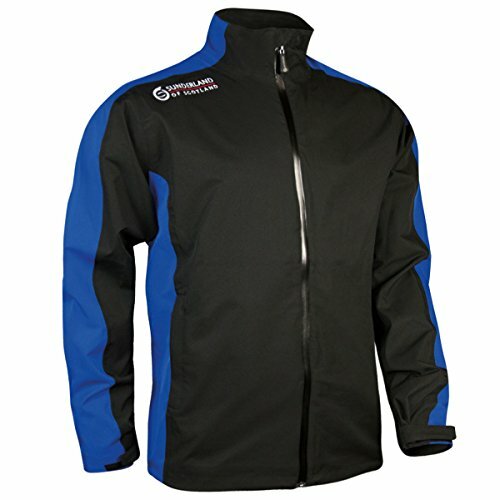 This jacket is designed in a lightweight, laminated waterproof fabric with mechanical stretch, and it is also windproof and highly breathable, with mesh lining for added comfort. The high neck collar offers protection, and the half-elasticated cuff and waist adjuster ensures a good fit. This jacket also features internal side pockets, two hand pockets and one inner pocket. With a Sunderland branded zip puller and water resistant zip, this also features a drawstring hem with twin shock cord adjustment. Experience contemporary styling and outstanding performance with our Sunderland 3-year waterproof guarantee. This jacket also co-ordinates with the Vancouver Resort Trousers. Lightweight, laminated waterproof fabric with mechanical stretch; Windproof; Mesh lining for added breathabilty and comfort. If you have any questions about this product by Sunderland, contact us by completing and submitting the form below. If you are looking for a specif part number, please include it with your message. © 2019 - homerscoat.com. All Rights Reserved.